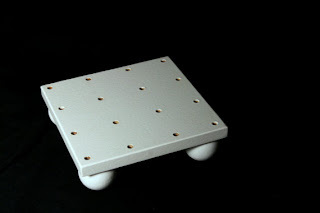 I was thinking of building a cake pop stand after seeing a PIN on how to do it. By the time I went to buy the lumber, knobs, sandpaper, and paint, I probably would have spent more than the twenty dollars this cost me to order this ready made one online. I already have my cake pop bibs made up and ready to be printed (previous post). I can't wait until it gets here. What else have I added to my party serving displays? 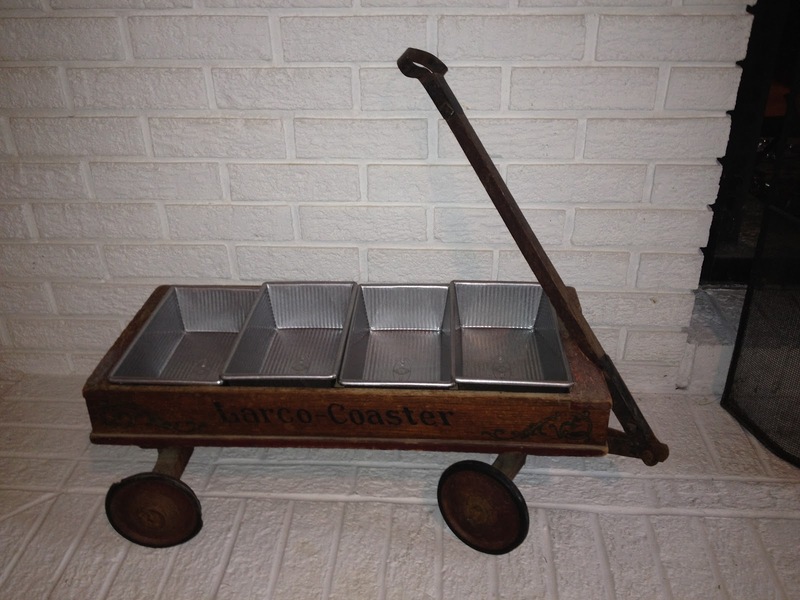 I previously posted that I bought this wagon an antique store. It went to the Ballerina Monkey Shower to hold favors. (See previous post). But, I wondered if it could be a "CHUCK WAGON." Amazon.com had these meatloaf size pans. I can fit four of them into it. I am going to serve the fixing for burrito bowls in the pans. When I'm serving up to 200 people at an office party, I think this will come in as handy as the wooden boat I bought last year. I put a different kind of cracker in each section of the boat. At the Safari Shower it will be "The Monkey Junction Chuck Wagon."